thebahamasweekly.com - Julien Believe to release "Goin' Down On Bay"
Julien Believe to release "Goin' Down On Bay"
Bahamian Pied Piper and King of Line Dance Julien Believe, will release his newest single “Goin Down On Bay” on October 26. The Bahamas, Nassau - For centuries, Junkanoo has been the caviar that draws tourists to our beautiful islands from every strata of the earth, all in an attempt to secure a front row seat in a showdown of our cultural collisions. While profoundly fond of Junkanoo, tourists are also emphatically fond of the genius Junkanoo infused melodies created by our very own Julien Believe, as his music employs line dancing, catchy infectious rhythms and group participation. These pairings have landed the artist global success in titles such as The“Caribbean Slide”& “Party Ambassadors” featuring Ricardo Dru, Fadda Fox & Beenie Man. The genre now known as Junkanoo Pop has re-packaged our ageless treasure: Junkanoo and has opened the floodgates for Bahamian Artists. 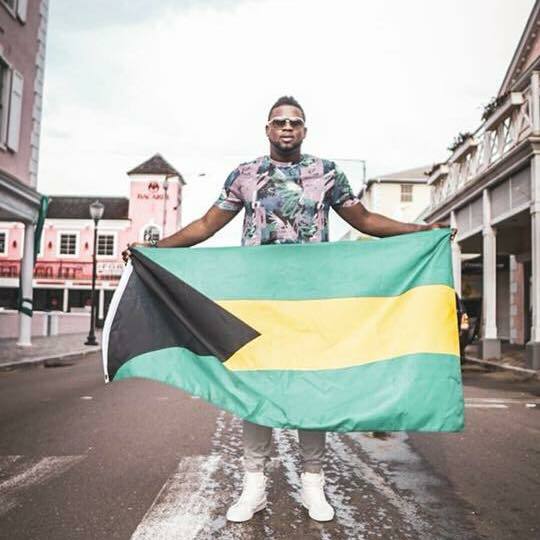 The smooth vocals of Junkanoo Pop sensation, Julien Believe has stretched our cultural fabric and has taken it to the world. It is certainly difficult to keep still when a tune by Believe is in dial. Today even as a global artist, Julien remains true to the culture from whence he came. This Friday in his daringly cultural debut “Goin Down on Bay” featuring Angelique Sabrina, Believe is expected to introduce a brilliant list of Bahamian hors d’oeuvres and bold colourful cocktail choices all while tipping his hat to a medley of high energy performances and giveaways that will raise even the eyebrows of locals. Aboard this artistic train are additional Bahamian sensations such as Jamaal Rolle, The Celebrity Artist who will offer Bahamian Portraits throughout the event’s timeline. The release will also chart the journey and serve as an introductory panel for two fresh and upcoming Bahamian Artists in an exclusive double feature. “Goin Down On Bay, " produced by Christopher Roberts, Ray Ewing, Julien Thompson and Gregg White is a success on local and international fronts. The event is slated to be released at Mount Batten House at Graycliffe and is promised to be the Junkanoo climax of the century though an activation of a variety of Bahamian talents, foods and experiences that are indigenous to Bahamian Culture. The venue will employ a small cover price for the general public. The show begins at 8:00 pm and will conclude at 12:00 midnight.